The Web Development Group (WDG) has been ranked one of the best Drupal Web Design companies by 10 Best Design. 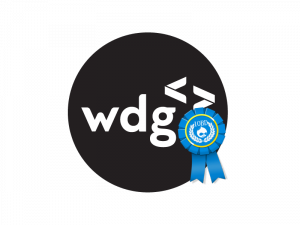 Located just outside of Washington, DC in the heart of Old Town, Alexandria, WDG is the only Mid-Atlantic firm to have received the Drupal Web Design Company awarded by 10 Best Design. Well known for building extraordinary and award-winning Drupal-powered user experiences, WDG is an established full-service creative company that has worked with clients ranging from startups to nonprofit, global associations and Fortune 500 companies. WDG specializes in interactive web design and development that is geared towards building custom solutions to address the needs of our clients. Recent Drupal-powered work includes The George Washington University, MHz Networks, and CollegeBoard. To learn more about how WDG can utilize Drupal to build you a great digital experience, get in touch with our team! To read more, visit PR Web’s post about the awards.